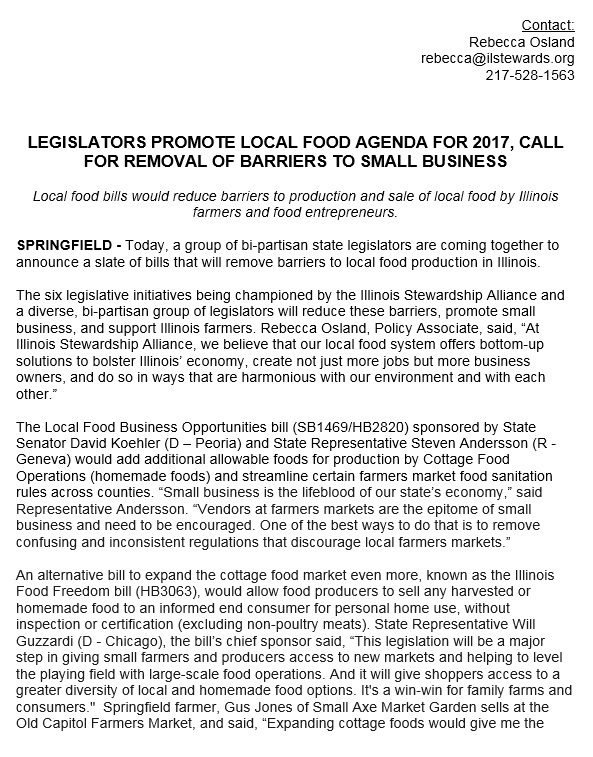 Today, an appropriation I strongly believe in was introduced: The Healthy Local Foods Incentives budget appropriation commits $500,000 to a fund created by the 99th General Assembly through SB1367. This funding provides matching dollars for SNAP clients to purchase additional fruit and vegetables at farmers markets, and is eligible for a 100% federal match. Food is vital for good health, and incentives that increase local food production and purchases go a long way toward reducing food insecurity in distressed communities.